Heading to a Formula 1 Grand Prix this year? The Official Formula 1 Grand Prix App is the ultimate companion to your race weekend. 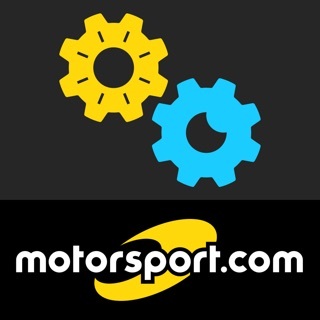 The app guides you around all 21 race circuits of the 2019 Formula 1 season with interactive maps and local travel information - getting you to and from the circuit. It includes full race schedules for all Formula 1 and support races, F1 Fanzone activities, entertainment schedules and much more. Heading to the Paddock Club? The F1 Grand Prix app has information on exclusive Paddock Club activities, entertainment schedules, food menus and a map of the Paddock Club suite. If you’re visiting an F1 Festival in 2019, the F1 Grand Prix app will have you covered too. With entertainment schedules, race schedules, Fanzone activities and an interactive Fan Park map - the F1 Grand Prix app is the best way to stay up to speed with all the action on and off the track. What does the F1 Grand Prix include? • Everything you need to know about every race weekend of the 2019 Formula 1 season. • Interactive maps of the area to get you around every circuit and discover all there is to see and do. • Guides to points of interest such as grandstands, shops, food and drink stalls, car parks, train stations. • Information on all Fanzone activities. • The latest race schedules so you always know what’s happening on the track. • Entertainment schedules to get you ahead of the crowd when the track is quiet. • Find the best way for you to get to and from the circuit by all forms of transport. • Alerts throughout the race weekend with news, updates and exclusive offers. • Vote for your favourite driver of the race in the #F1DriverOfTheDay vote. • Paddock Club suite maps, activities, entertainment and food menus. When you arrive for your Grand Prix weekend, make sure the Formula 1 Grand Prix app is part of it. Updated with more information about the Paddock Club at every Grand Prix for the rest of the 2019 season. The Widget was the best thing about the App, it kept me up to date about upcoming sessions, bring it back!! Not quite understanding why there are 3 F1 apps by the same developer? This is certainly the lesser of the bunch.